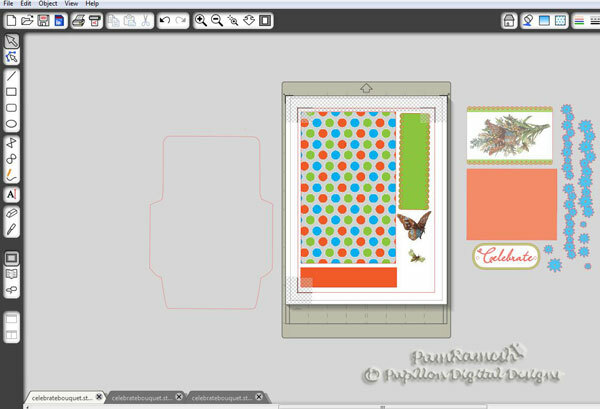 I have used silhouette as it is easier but you can use your printer to print the dover image or any other image you like and any die cut machine and adapt for this card. For e.g you can just use any cardstock instead of printing one and use scallop design from one of cricut cartridge and use your DS or gypsy or craftroom for adjusting width and height and also maybe a different font. 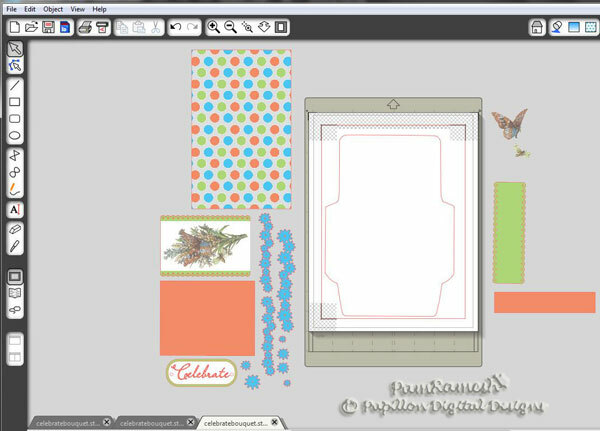 I just used the silhouette and for the image the lovely one form dover greetings book. 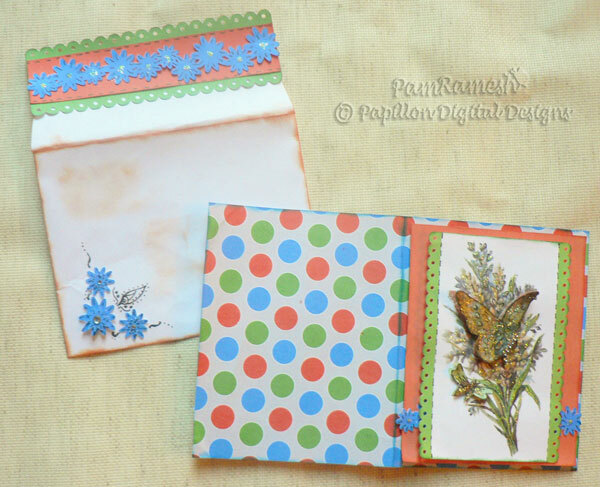 I just love this book for card making. If you want to layer the butterfly and the bee as I have done then you have to print 2 and use your scissors if you don't have silhouette but I did lots of node editing and cropping to get the machine to cut. 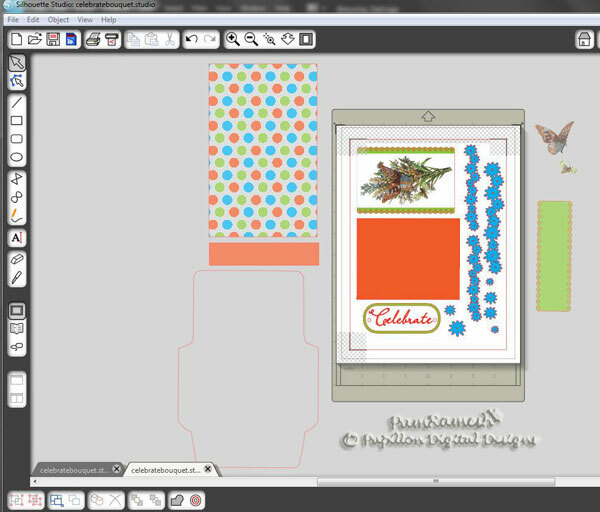 Here is a screenshot of the silhouette studio file . I opened up 3 versions of the file so that I can fit and move images in the active cut area. Else you have to print and then cut it immediately and then send another to print and so on. If you open multiple windows then you print each in one shot and then make sure you open the right window for each and send to silhouette to detect and cut ( very important else you will have wrong cuts). I cut all except for envelope base using the white cardstock (the walmart ones are so great for this) . 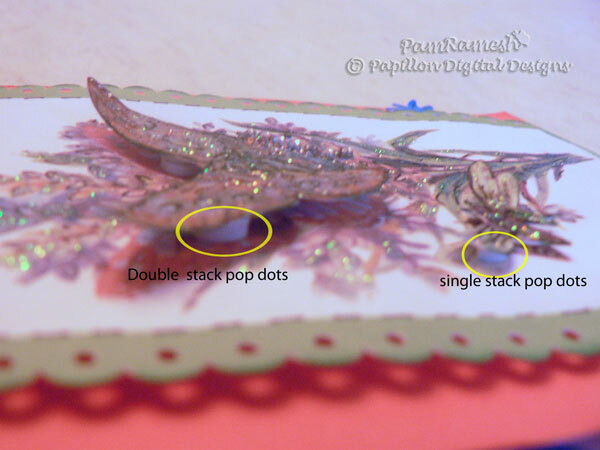 Then I assembled the card using pop dart and glue(ATG gun)and glue dots. 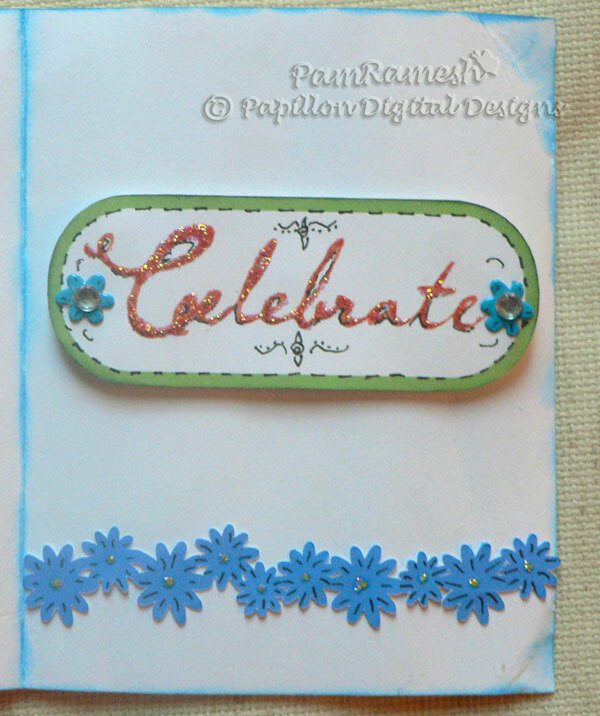 I used 2 flower eyelets which I luckily had in same blue color as the background paper for inside of the card on the sentiment . 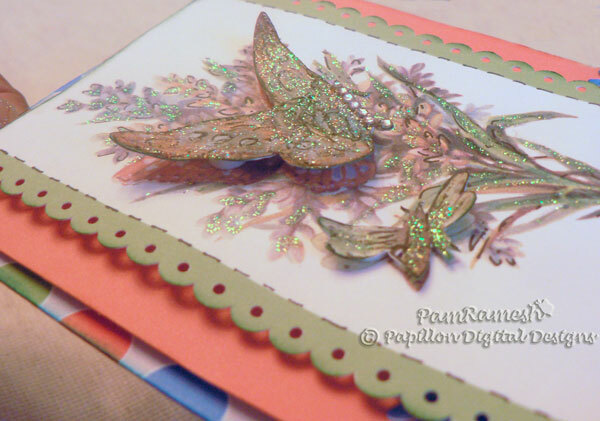 Once can always enhance the lighter colors with copic or embossing but in this case I didn't have to do that. I have added stickles - fruit punch and diamond as I love glitter. I stacked the bee with one layer of pop dots while the butterfly has 2 layers to raise it up further. I added some doodling with black markers too on the card and envelope. The inside of the card with the 2 flower eyelets on the label . I further added bling to the eyelets. Hope you enjoyed the project. You will see more as I keep playing with dover book and silhouette machine. They sing such a great Duet together!